Arlington Federal Criminal Defense Lawyer - Oberheiden, P.C. Are you subject to a federal investigation in the DFW area, in Arlington or Grand Prairie, Texas? Did federal agents try to interview you or someone you are affiliated with? Did you receive a grand jury subpoena or a target letter from the U.S. Attorney’s Office in Dallas or the Fort Worth U.S. Attorney’s Office? Did the feds arrest you recently? Are you looking for North Texas lawyers with significant federal experience to advise you on the proper actions to take? Featured by media stations throughout the DFW area, Oberheiden, P.C. is a first-choice Dallas-based federal criminal defense law firm. Our attorneys dedicate their entire practice to defending clients accused of federal criminal matters, be it health care fraud, tax fraud, computer offenses, drug charges, or any other alleged violation of federal law. Among our Dallas federal attorneys are former federal prosecutors who previously worked at the U.S. Attorney’s Office in Dallas and who are well familiar with federal investigations in the Northern District of Texas. Following instructions from the United States Justice Department, the U.S. Attorney’s Office in Dallas and Fort Worth (the two local branches of the Department of Justice in charge of federal prosecutions in the Arlington and Grand Prairie area) have dramatically increased its investigations and prosecutions of individuals and corporate entities in North Texas, including Arlington and Grand Prairie. Today, North Texas has seen new heights of arrests, raids of business, grand jury subpoenas, and issuances of target letters with involvement of all major federal law enforcement agencies such as: the FBI, the DEA, the IRS, the Department of Homeland Security, the Department of Health and Human Services, the Office of Inspector General, the U.S. Postal Inspection Service, the ATF, the U.S. Immigration and Customs Enforcement (ICE), to name just a few. While the list of investigated offenses is extensive, the following represents some of the most common accusations as a result of new federal law enforcement initiatives and national crackdowns. 21 U.S.C. 846 Conspiracy to Distribute Furanyl Fentanyl, Carfentanil, Methamphetamine, Heroin, Marijuana, or Cocaine etc. Each of these offenses constitutes federal felonies that may result in lengthy prison terms, if not defended correctly. If you or your business is subject to a federal investigation involving the U.S. Attorney’s Office in downtown Dallas (1100 Commerce Street) or the U.S. Attorney’s Office in downtown Fort Worth (501 W 10th Street), or if you were recently arrested on federal charges in DFW or the surrounding communities, then get Oberheiden, P.C. by your side. Call us any day, including on weekends, to tell us about our situation. We will be delighted to do for you what we have done for so many other clients before you. The key to understanding federal penalties and sentencing are the Federal Sentencing Guidelines. Although not mandatory, all judges in the Northern District of Texas pay close attention to the guideline recommendations, even though some federal judges are known (and always maintain complete discretion) for deviating from the guideline recommendations—sometimes in favor of the convicted defendant and sometimes to his or her disadvantage. The Sentencing Report. Prior to any sentencing hearing comes the so-called Pre-Sentencing Report. This lengthy report is put together by U.S. Probation in the aftermath of a conviction at trial or a plea deal. The report addresses a variety of personal, financial, and legal considerations that all become factors for the sentencing judge when making his or her decision. Importantly, the report concludes with an analysis of the appropriate sentence recommendation. The Sentencing Chart. Federal sentencing is a math game. Sentences are calculated based on the amount of points a defendant receives. Each calculation begins with points for the offense itself, followed by an analysis of the severity of the crime, the role of the convicted defendant in the case, the acceptance or non-acceptance of responsibility by the defendant, the physical and mental health of the convicted, the criminal history, and a number of other relevant factors. Probation Yes, But No Parole. One of the major differences between being sentenced by a federal judge in Dallas or Fort Worth rather than by a state judge for a state offense is the notion of parole. Put simply, the time for which you will be sentenced and the time you will actually have to serve are, with minor exceptions, identical. In other words, in state cases, where you may be sentenced to five years and then after 3 years you will be released “on parole” knows no equivalent under federal law since parole had been legislatively abolished in the 1980s. If you get five years, you will do a full five-year term. This Is Why Federal Criminal Defense Clients in Dallas-Fort Worth Trust Oberheiden, P.C. This is why clients in Arlington, Grand Prairie and throughout North Texas turn to Oberheiden, P.C..
Federal cases are matters of great concern. Notably, federal criminal cases are distinct from state offenses (e.g. DUI, assault, battery) in terms of investigating agencies (police v. FBI), scope of prosecution, conviction rate, case resolution tactics, and sentencing. Just like you would see a heart specialist (and not a knee surgeon) to treat chest pain, when you are facing years of incarceration in the federal justice system, you should contact lawyers with the specific experience and track record to resolve your federal case for you. Here are some test questions for you to ensure your future lawyer has the skillset needed to be trusted with your important case. What Percentage of Your Practice Is Dedicated to Federal Criminal Law? How Many Federal Cases Have You Handled Before? How Many Federal Criminal Trials Have You Handled Before? At Dallas-based Oberheiden, P.C., already a quick look at our profiles reveals that we are a federal criminal defense law firm. Because we don’t waste our time defending DUIs and shoplifting offenses, we focus our practice on negotiating and litigating favorable case outcomes for our federal law clients. Every day, we work with the FBI, the Drug Enforcement Administration, the United States Secret Service, the Bureau of Alcohol, Tobacco, Firearms, and Explosives, U.S. Customs and Border Protection, United States Border Patrol, the Department of Homeland Security, the Department of Defense, the Department of Justice, and other federal law enforcement agencies. 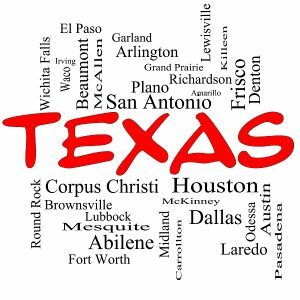 In fact, several of our attorneys previously supervised investigations from these agencies here in Dallas, Arlington, Grand Prairie, and Fort Worth and are intimately familiar with the process and operation of federal law enforcement investigations in the Northern District of Texas. Nick Oberheiden (Dallas) is a federal attorney licensed to practice in Indianapolis and many other federal districts. Nick has avoided criminal charges or mitigated criminal investigations to acceptable results for a great number of people involving federal fraud cases, federal drug cases, federal financial crimes, and Internet related investigations. Our team has obtained acquittals, dismissed charges, and probation sentences. For example, in two recent federal fraud cases, our attorney Nick Oberheiden convinced a United States District Judge to grant probation — despite the fact that the federal sentencing guidelines called for years of incarceration. The federal criminal defense attorneys of Oberheiden, P.C. are now available to discuss your case. Find out how experienced prosecutors and defense attorneys assess your case and what advice they offer once they learn the facts of the case from you. Calls are free and confidential. Contact us now. Arlington, Grand Prairie, Irving, Hurst, Euless, Duncanville, Bedford, Cedar Hills, Hurst, Richland Hills, Grapevine, Farmers Branch, Colleyville North Richland Hills, Watauga, Mansfield, Fort Worth, Colleyville, Haltom City, Forest Hills, among others.